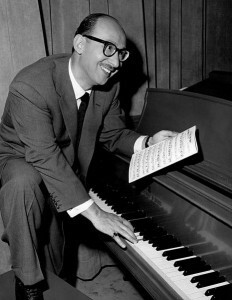 ‘Lyrist’ Sammy Cahn and his composer partner Jimmy Van Heusen wrote 87 songs for Frank Sinatra alone. It seems he did a pretty good job, writing the lyrics for such standards as ‘My Kind of Town (Chicago Is), ‘Love and Marriage’, ‘Come Fly With Me’, ‘Let It Snow’, ‘The Second Time Around’, ‘I Should Care’, and four Academy Award winners: ‘Three Coins in the Fountain’, ‘All the Way’, ‘Call Me Irresponsible’, and our song of the week, ‘High Hopes’. Sammy (1913-1993) was born Samuel Cohen on (surpise!) the lower East Side of New York. “So low that one step backwards would have landed me in the East River.” He anglicized his name from Cohen to Cahn. Go figure. 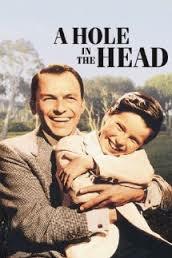 ‘High Hopes’ is a charmer, from Frank Capra’s 1959 trifle “A Hole in the Head”, where Sinatra plays the widower father of child actor Eddie Hodges. Frank’s compadre Jack Kennedy took it as the theme song for the 1960 presidential campaign, with the opening lyric “Everyone is voting for Jack ’cause he’s got what all the rest lack. 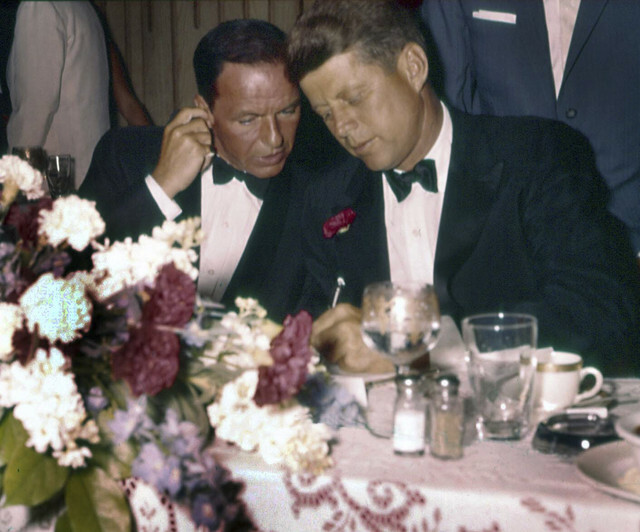 Everyone wants to back – Jack, Jack is on the right track.” I’m guessing that Sammy Cahn himself wrote that lyric. He prided himself on reworking lyrics of his best-known songs for rewrite-on-demand occasions such as corporate gigs (and making a pile of moolah doing so). For all its cuteness and universality, the song has had surprisingly few cover versions (although Pink Floyd had a song by the same name, as did The Havalinas, whose song is covered by Bruce Springsteen as the title track for his upcoming album.) Oh, and here’s one you may not have heard – a Columbian string quartet playing a ragtime arrangement. 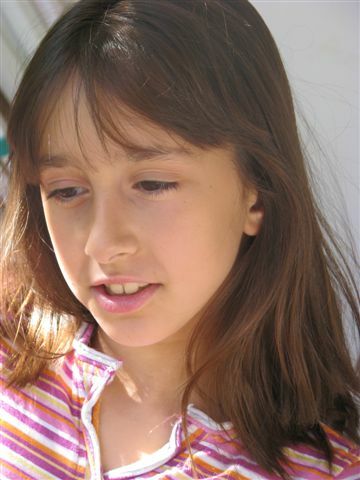 A few years ago, I noticed that my then ten-year old granddaughter Nogah had a pretty nice singing voice. I wanted to encourage her to try out her pipes, so I took her into a studio and recorded the song with her. I’m no Frank Sinatra, and she’s no Eddie Hodges, but we sure had a lot of fun. I wanted to demonstrate to Nogah that it’s actually possible to cut a record without too much difficulty, that all you need to do is find an appropriate song and an accompanist and a studio. All you need is a dream and a plan. I don’t know if that lesson came across to her, and if it did what she’ll do with it when she grows up. Perhaps she’ll become a singer, perhaps a doctor or lawyer or Indian chieftess – whatever she wants. I don’t know what she’ll do with her future. But I have high hopes. So any time your getting’ low ‘stead of letting’ go, Just remember that ant. When troubles call, and your back’s to the wall there a lot to be learned – that wall could fall. No one could make that ram, scram, he kept buttin’ that dam. ‘Cause he had high hopes, he had high hopes he had high apple pie, in the sky hopes. So any time your feeling bad ‘stead of feeling sad, just remember that ram. They’re just bound to go pop – oops, there goes another problem kerplop. I read Sammy Cahn’s autobiography and was disappointed to find he was kind of a schmuck. His career started when he bought the rights to “Bei Mir Bist du Schoen” outright from Shlomo Secunda for a couple of hundred dollars, and despite all his spare millions later in life, he never had the menschlichkeit to display suitable financial generosity to the less fortunate Secunda. Hey, and what about the other songwriter guy featured in these pages who used the distinctive name of the famous baseball player without giving him a dime, and made plenty off the song? Do I detect a pattern here? Are musicians, generally, schmucks? This is one of those songs that is very catchy but not very good. A little too cute. Might be good live without those kids singing. A Little! It is so sickeningly sweet, Doris Day could sing it wearing a polka-dot dress while holding a puppy! It is right up there with “How much is that doggie in the window”. C’mon Jeff, we’re all adults here… hit us with the hard stuff.